It's no secret that travel can transform educational lessons into real-world experiences. History is all around us, and student travel has an amazing way of teaching that history in a more surreal way. Travel doesn't simply bring historical events to life, though. It can also bring literary events to life. There are certain books, some taught in school and some not, that present the reader with themes and ideas that they simply won't find in a PowerPoint. These books shape the lives of children and adults alike. And what better way to celebrate these books than by actually going to the places they depict? Take a look at these four book-inspired tours that you and your students have to experience! Serafina and the Black Cloak is about a young girl who secretly lives in the basement of the Biltmore House. When the other children of the house start disappearing at night, Serafina is the only one who knows why and must find a way to come out of hiding and tell someone. Visitors to the Biltmore Estate can not only see the house which inspired Serafina's story but can also learn what life was like during this time. While the adventures of these two iconic characters, Tom Sawyer and Huck Finn, took place in Missouri, Samuel Clemens (Mark Twain) actually lived and wrote in Hartford Connecticut. Here at the Hartford House, Clemens produced some of his most classic works. Visitors can learn about what inspired these beloved stories and participate in writing programs and interactive presentations. 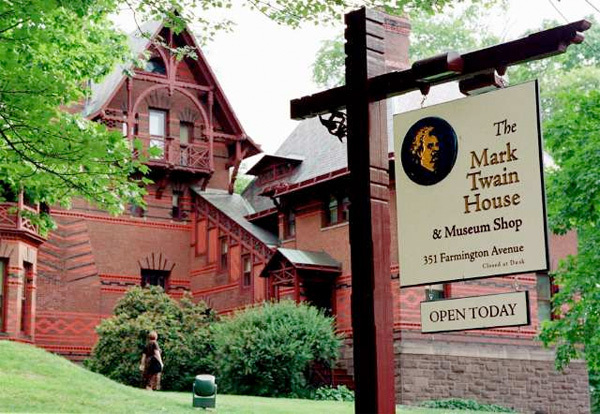 Next door to the Mark Twain House is the Harriet Beecher Stowe Center. In 1852, Stowe wrote the best-selling anti-slavery novel Uncle Tom's Cabin, which greatly impacted America's view on slavery. At the Center, visitors can learn more about the forces that shaped the abolition movement in America while touring Harriet Beecher Stowe's home.